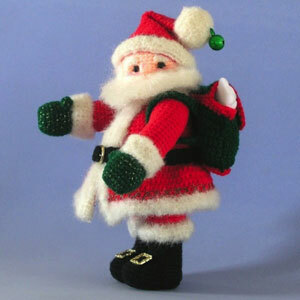 The Amigurumia Santa Claus doll is a crocheted marvel. It’s showcased on Christmas Crafts. 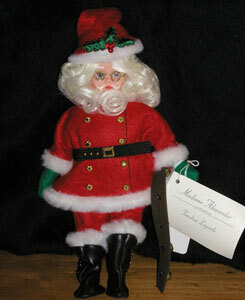 Madame Alexander has debuted many Christmas character over the year, including jolly old St. Nick himself. 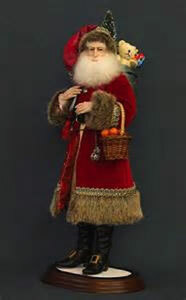 Doll artist Kat Soto has created this gorgeous depiction of Father Christmas. Miniature Madness Santa brings enormous cheer with him. 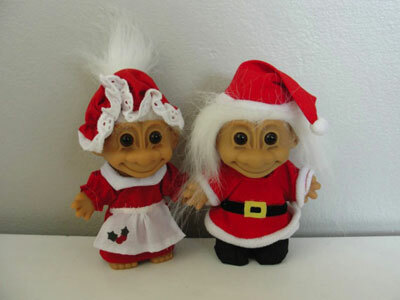 The lovable trolls have appeared as the North Pole’s most famous residents. On etsy, a pair of Waldorf-inspired Mr. and Mrs. Claus, joined by a Noel gnome. 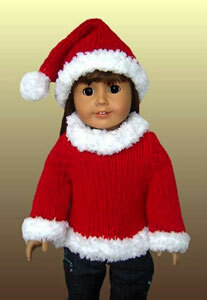 Mattel had a great success with its Lucy Ricardo as Santa doll, a dress-up stunt that Lucy pulled on the popular sitcom. 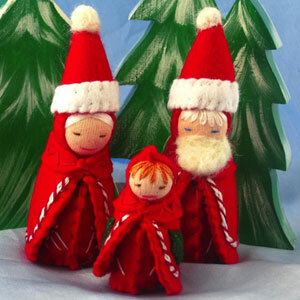 Etsy features many holiday delights, including this charming Mrs. Claus sweater for 18-inch dolls. 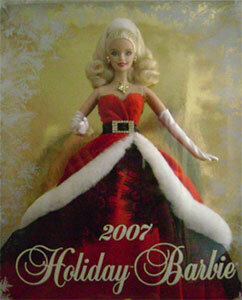 Barbie was a bright and beautiful embodiment of Mr. and Mrs. Claus’s holiday spirit in 2007. Santa’s Mrs. is one pretty belle! Here is his “trophy wife,” courtesy of Tonner Doll Company. Mrs. Santa is presented in a traditional way from Annalee. 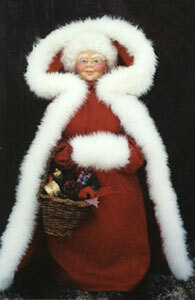 Dian Dolls also proudly unveils a classic and classy Mrs. Claus. The second I heard my friend Cam bellowing that observation, I knew I was in for something bombastic and possibly fantastic. With Cam, he could be reacting to the fact that Greek yogurt does not have a dozen calories (without reading glasses, he misread the 120 calories for 12 on the back of a container and ate six of them in a row) or he could be spinning from a revelation that demotes a planet to a mere gaseous heavenly body. Everything seems to be of equal weight in Cam’s universe. “What’s wrong?” I inquired, with an admitted mix of fear and excitement. Was this going to be something hilarious or hysterical? Cam had just heard on the radio that British scientists are disputing the fact that the popular Purell and all its brethren are not capable of killing germs. In fact, many of the researchers are saying that it actually can cause harm: affecting people’s hormones and sending their inner-body workings into upside-down, frantic territory. This isn’t good news for any of us who have small kids and are frequently doing a quick cleanliness fix when out at shopping malls, petting zoos, or any Chuck E. Cheese ball pit. For Cam, this is especially devastating because during these weeks prior to Christmas, he is the “jolly old elf” known as Santa. Cam is rather rotund (that’s what happens when you eat a half-dozen yogurts as a snack) and is absolutely one of the merriest and most giving men I know. 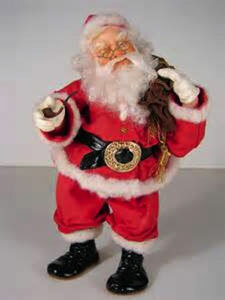 His gig as Santa is an extension of his own sweet temperament, and he dresses up and visits nursing homes. Whereas many other Mr. Clauses go to where the kids are, Cam heads to the residences that cater to the seniors. And, oh my, what a reaction he gets! I know firsthand how much his interaction means to the folks who are often forgotten during their tenure at nursing homes and elder-rehab facilities. Cam comes rushing in like a gust of fresh air—bracing, boisterous, and beautiful all at the same time. Spend 15 minutes in his presence and you are definitely wide-awake! 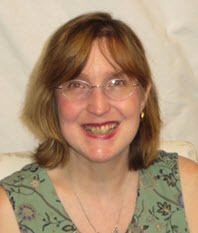 Over the years, I’ve accompanied him in different guises: I’ve been Mrs. Claus (his trophy wife) when I’ve had a “good hair day” and Mrs. Claus (his mom) when I’ve covered my head with a gray wig, mob cap, and wire-rimmed spectacles. I’ve been his elf sidekick and also just a “civilian friend,” who has shown up to help him hand out presents. One of the things that he has done—and it is so successful—is he’s handed out dolls that are no longer part of his collection. Since he takes pristine care of everything he’s ever owned, he boxes them up in their original packaging, complete with certificates of authenticity and all pertinent paperwork. He gives a new lease on life to these dolls that have languished, forgotten and neglected, in his home’s curio cabinets and closets. For the gentlemen in the facilities, he distributes gently read paperbacks—James Patterson, Michael Connelly, John Grisham, Nelson DeMille, to name a few—and these books that are in near-pristine condition brighten the residents’ days. When he hands out the gifts, Cam is very hands-on. 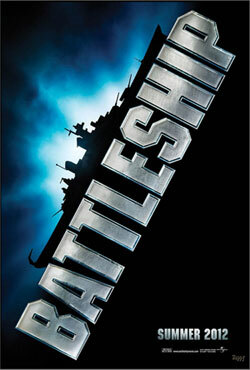 He is a touchy-feely fellow and he hugs and shakes hands robustly. He’s always been very effusive and his stash of hand sanitizer has helped him in his Santa situations. Knowing it is tucked inside his suit or in his Noel bag has allowed him to rejoice in these tactile encounters. Now, Cam seemed a bit down. What would he do to counter this revelation? So, what was Cam’s solution? He certainly wasn’t going to stop embracing and glad-handing all the people he meets. No, Cam, you’re not as good as new. You’re better, my friend. Absolutely better! Let’s all duplicate Cam’s spirit this Christmas and share some of our forgotten collectibles with people who need to have their moods lifted. If you have MIB dolls, bears, and toys, why not share them with Toys for Tots? Or donate them to nursing homes and rehab facilities? I have a batch of collectibles that are sort of like the refugees on “the Island of Misfit Toys.” I have these toys, but they are not being utilized, enjoyed, or loved. Why not give them away? I have already made arrangements to bring them to a charitable organization near my house. Thinking about making some folks happy with these collectibles that were meant to do just that is a fantastic mood elevator. Hand sanitizer might make hormones go crazy. Doing something sweet and nice for others makes your whole self go over the moon. Merry Christmas, collectors of Santa dolls everywhere! Be good and do good. Enjoy this holiday slideshow of 12 jolly Santa and endearing Mrs. Claus creations. PreviousThe Sound of Tweeting: A Carrie Underwood doll, anyone? 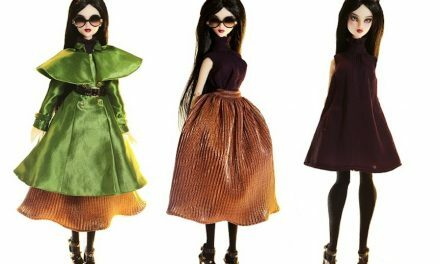 Hits and Misses: Which doll would you like to see on the big screen? Wild for Steampunk: Wilde Imagination’s Imperium Park swings open the visionary floodgates. 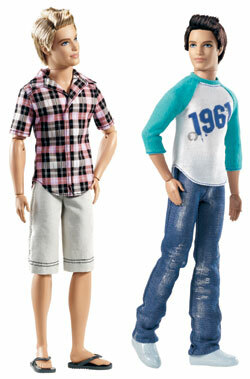 Ken-Do Attitude: Is it brave, foolhardy, or enlightened to buy a doll for your son?